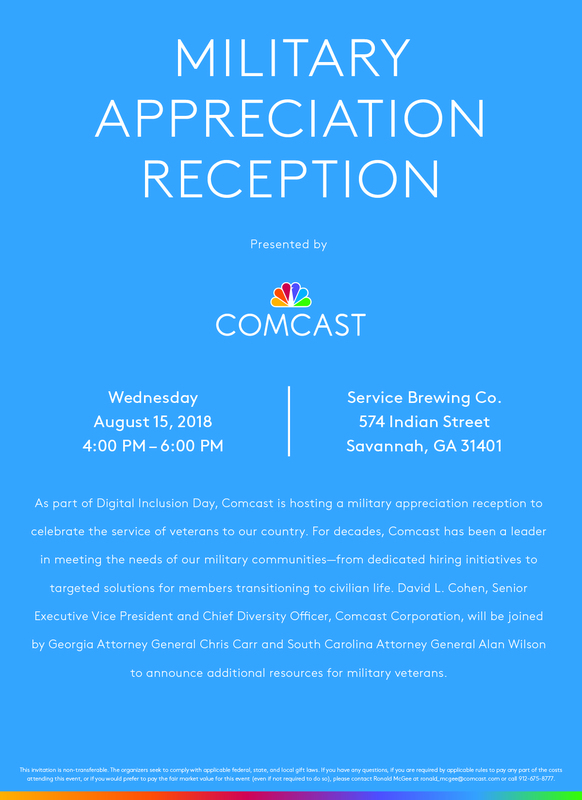 Comcast is hosting a military appreciation reception in partnership with local veteran support groups in Savannah. 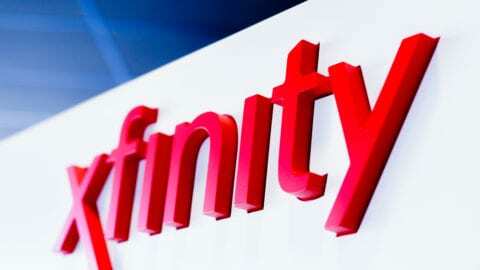 Comcast will also announce significant enhancements and milestones for its Internet Essentials program, which is the nation’s largest Internet adoption program for low-income families. You can find the event details below. 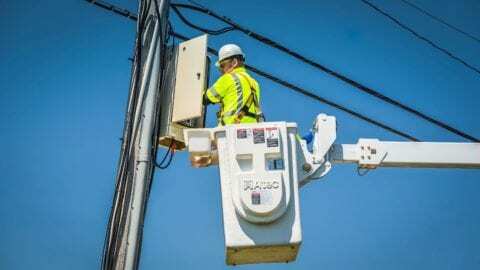 Please RSVP to Ronald_McGee@comcast.com. We look forward to seeing you there.